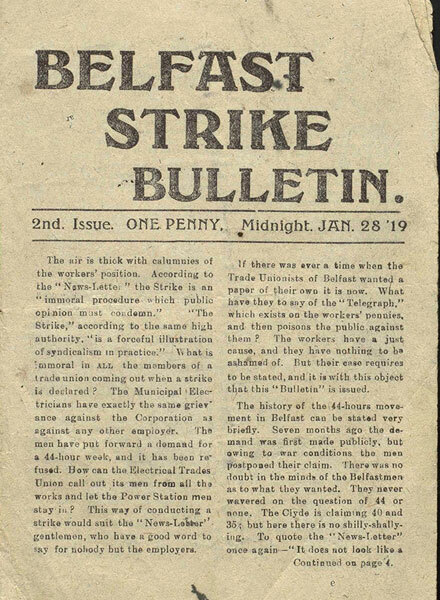 The Belfast Strike was part of a general movement for shorter hours which affected all the major industrial centres of Britain. During the First World War, workers in all industries had been forced to accept gruelingly long hours and low pay. Resentment had built up especially among the well organised engineering workers, and already there had been several disputes in Belfast and Glasgow. With the pressure of the war over, the workers were determined to get their demands. The strike lasted four weeks, shops and factories were forced to close, windows of shops using electricity were smashed, trams couldn't run and bread ran low. The British army was called in and occupied the gasworks and electricity station on Saturday 14th February. By the following Thursday the strike collapsed and by Monday the workers were back at work without their demands for a 44 hour week being met. 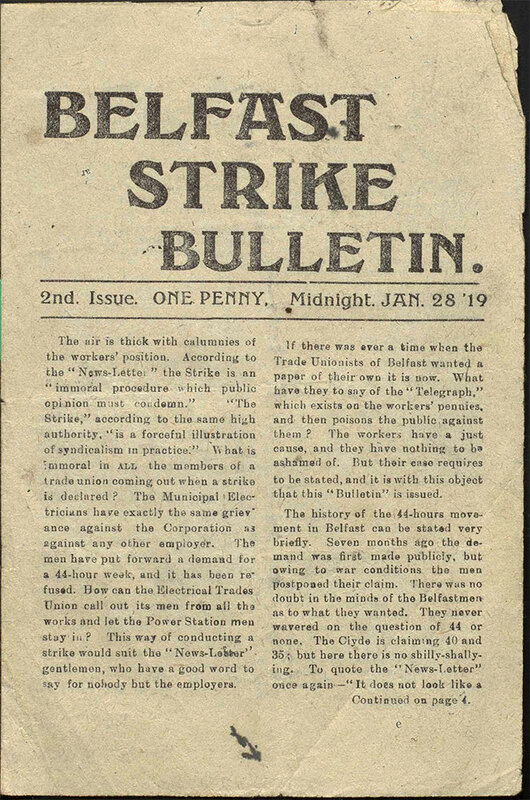 Belfast Strike Bulletin published by the Strike Committee.